Groot has never been the most complicated character in the MCU. He’s the tree guy who only says three words, and sometimes he’s a baby. That works pretty well for him, but it turns out that fans might have been referring to him by the wrong name all this time. One fan theory claims that Avengers: Infinity War revealed that Groot’s real name is actually Tree. Groot is one of the most unique creatures in the cosmos, only able to say three simple words: I am Groot. So, it’s pretty easy to assume that Groot is his name because, well, he’s basically always introducing himself. However, that’s just how Groot’s language works, and for the most part, only Rocket could ever really understand what he was saying. Then Thor came along and threw a wrench into the works. Avengers: Infinity War introduces a lot of characters to each other for the first time, with one highlight being Thor and the Guardians of the Galaxy. Thor spends most of the movie with Rocket and Groot, and it’s revealed that Thor “speaks Groot.” It was taught as an elective on Asgard, so Thor can understand everything Groot can say. 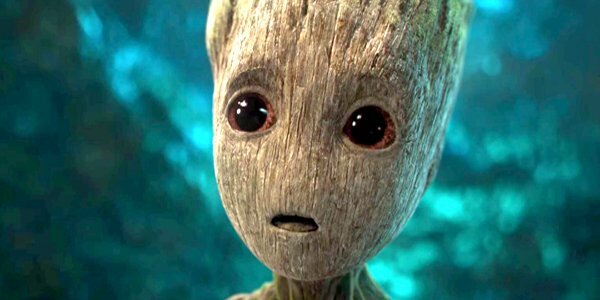 Throughout the movie, Thor calls Groot “Tree,” but one fan thinks that Thor is actually referring to Groot by his real name. Posted on Reddit, one fan lays out his theory on why Tree is Groot’s real name. In Infinity War, Thor introduces Groot to Captain America as Tree. It’d be pretty weird (or just funny) if Thor intentionally introduced his friend by the wrong name — unless Thor never learned Groot’s name, but that also seems implausible. Furthermore, the Dwarf king Eitri also refers to Groot as Tree, but it makes more sense for Eitri not to know Groot and just call him by what he is. On top of that, the subtitles for Infinity War capitalize Tree, implying that it’s a proper noun. The theorist also says that Thor has a habit of referring to people by their surname (Stark, Rogers, Banner), so it’s possible that Groot’s full name is Groot Tree. It’s a fun theory, but like a lot of fan theories, it’s got some holes. The Guardians seem to understand what Groot is generally saying, so wouldn’t they know his real name? Rocket Raccoon (also called “Rabbit” by Thor) 100% understands Groot, so why would he intentionally call him the wrong name? That actually gives a bit more support to the Tree-is-his-last-name theory. Whatever his name is, it’s not clear when you can next see the tree guy. There’s a chance he might be showing up in Avengers: Endgame, but we won’t know that for sure until the movie arrives on April 26, 2019. To learn more about the film, here’s what we know so far.